Many leaders in business and ministry are immature because they live on ‘milk’. They subsist on that which they can consume quickly with little effort. 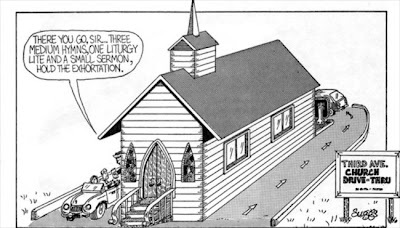 They want the ‘drive through’ university of spiritual education, taking in only that which can be consumed and digested quickly. They prefer the quick devotional to committed study time. They pursue the 1-hour worship service over hours of God’s glory in worship. They desire the anonymity of internet relationships rather than the nitty gritty of face-to-face life. And they seek the absence of accountability to God or man. Such people are not mature, are babies in Christ, and not ready for prime time leadership of the ‘last days’. I believe we are in an apostolic and prophetic era of the church where solid foundations are critical to building people, yet even many leaders have broken foundations. The apostles and prophets are now rebuilding foundations in business and the church to develop leaders. Paul says in Ephesians 2:20 that God’s household (His church) is built on the foundation of the apostles and prophets with Christ Jesus as the chief cornerstone. In Him the whole building is joined together and rises to become a holy temple in the Lord. For over a decade there has been a spiritual shift bringing to prominence the apostolic and prophetic gifts and callings to bear on the church. It is not restricted to the church but is emerging in start-up business as well. As emerging leaders receive, submit to, and embrace apostolic and prophetic foundation building we will see men and women transformed from milk drinkers to meat eaters. Praise God for what He is doing in these last days!